For years oil industry workers headed east to Saudi to make quick thousands (or tens of thousands) toiling in air conditioned offices beneath an unrelenting Saharan sun. Now there is a new migration patterns as American workers flow north, a Keystone Pipeline in reverse, to Canadian oil fields. 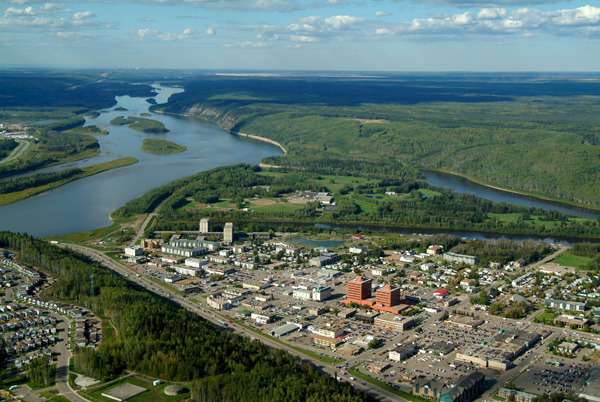 With 50,000 job vacancies in the energy employment sector, Canadian employers are hungrily eying skilled American workers to the south. The province of Alberta, in particular, has launched a recruitment campaign in the United States. American veterans are among those being targeted. Reasons Canadian companies are particularly looking our direction to fill their skilled labor gap include the fact that Americans speak English, share a similar business culture, and, most importantly, after spending a couple of dark, sub-zero winters up north, will be more than happy to relocate back to the United States. Let’s just hope they don’t bring another polar vortex with them. Americans have developed a knack for discerning which of our laws are strictly enforced and which can be broken with little fear of punishment. For diplomats the seemingly fine line between some of these laws may be difficult to discern. For example, it’s common in many areas of the United States to pay cash, no questions asked, for someone to mow your yard or clean your house. If you are determined to go the legal route, be prepared to pay wages in line with a chemical engineer’s for an e-verified, social-security recognized individual, if you can find one willing to do the work. Oh, and don’t forget to withhold social security and Medicare taxes from that person’s paycheck, to match those withholdings out of your own pocket, and to issue a W-2 in January. The film A Day without a Mexican captures the predicament of Americans needing assistance with their yards and their housework. The movie begins with border patrol officers in southern California arresting would-be immigrants coming across the Mexican border. Fast forward to the sudden and inexplicable disappearance of all Mexicans from California. Yards and houses and children go unattended. Construction comes to a halt. Restaurant meals go uncooked. Crops go unpicked. The state slowly but surely descends into chaos. In the film’s final scene, (Spoiler Alert) Mexicans illegally cross the border late at night, then freeze when La Migra (now ICE) trains spotlights on them. Only this time the border patrol doesn’t handcuff them and load them into vans. Instead, the officers pat them on the back and welcome them to the U.S.A. Living in a country which has made anti-bullying a national campaign, Ms. Khobragade had the audacity to bully her employee, an employee so isolated from her homeland, Ms. Khobragade assumed she wouldn’t fight back. Is this why Ms. Khobragade felt pressured to falsify documents, so that she could hire a maid from her own country? Was she afraid that a documented American, or even an undocumented Mexican or Central American working in the United States, would not have tolerated such treatment? Apparently she underestimated her fellow expatriate’s tolerance for abuse. 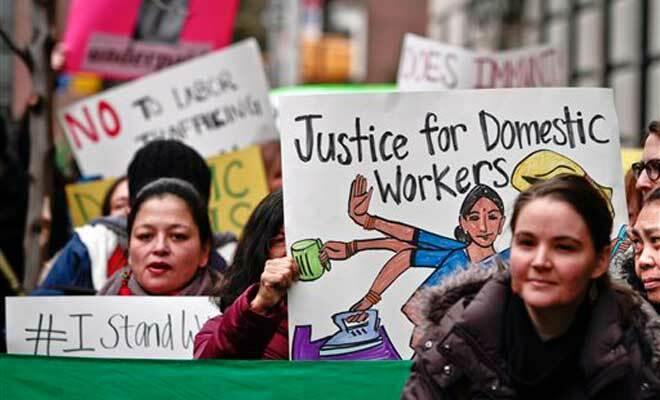 Last June, Ms. Richard told Ms. Khobragade that she was unhappy with the work conditions and wanted to return home. Ms. Khobragade refused the request and would not return her passport. Ms. Richard then turned to Safe Horizon, which helps trafficking victims, for help. After being indicted by a federal grand jury in New York on charges of visa fraud and employment fraud, Ms. Khobragrade was granted immunity just long enough to be allowed to leave the United States and return to India. Since then, her name has been placed on U.S. Immigration watch lists and she cannot return unless she surrenders to the court upon arrival. In retaliation, India has asked the U.S. to withdraw one of its senior diplomats from New Delhi. Diplomats living in the United States would do well to learn and follow not only American laws, but American ethics and not assume immunity when they violate them. Entrepreneurs travel all the way to China, meet up with business people, and then fly back to the United States having accomplished nothing, and never know why. Shore up on the business culture of the country you’re traveling to. In many Asian and Latin American countries, business people will spend days getting to know you, wining and dining you, even inviting you home to meet their families, as an American might bring home a potential spouse. Turn down these invitations and it’s quite likely you will not be invited back to their homes or to their offices. Goodbye, international contract. 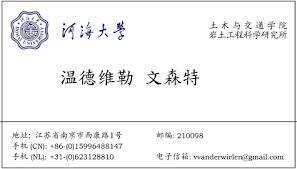 My Chinese students have also informed me that when you give your business card to a Chinese national, it is important to hold the card between both your hands and extend it towards them (with a slight bow, if you like) as a gesture of respect. Handing someone your card with one hand or, worse still, dropping it on the table in front of them, is a sign of disrespect and disregard. You’re signaling that you could really care less about doing business with them.